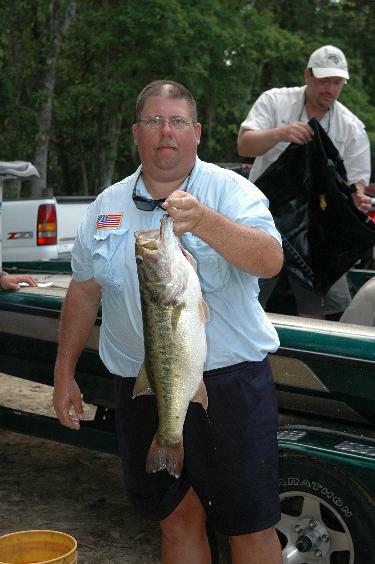 Tim Mann caught a huge bag that weighed 22.84 lbs. at Rodman Reservior on March 7, 2009. John Allen took over the big bass of the year with this fish that weighed 9.35 lbs. on the first day of the Classic at Lake Talquin. Karl Hidalgo was named Angler of the Year for 2008-2009. This is the Winner's Circle for the 2008-2009 Season. 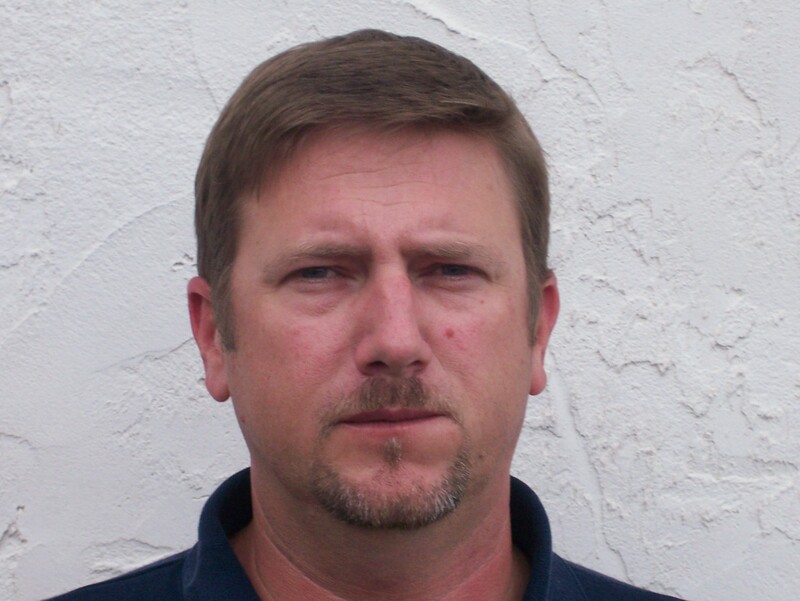 Daren won at Lake Lochloosa in June 2008 with 3 fish that weighed 8.30 lbs. Matt won the July 2008 tournament out of Rodman Reservoir with his winning stringer of 10.99 lbs. 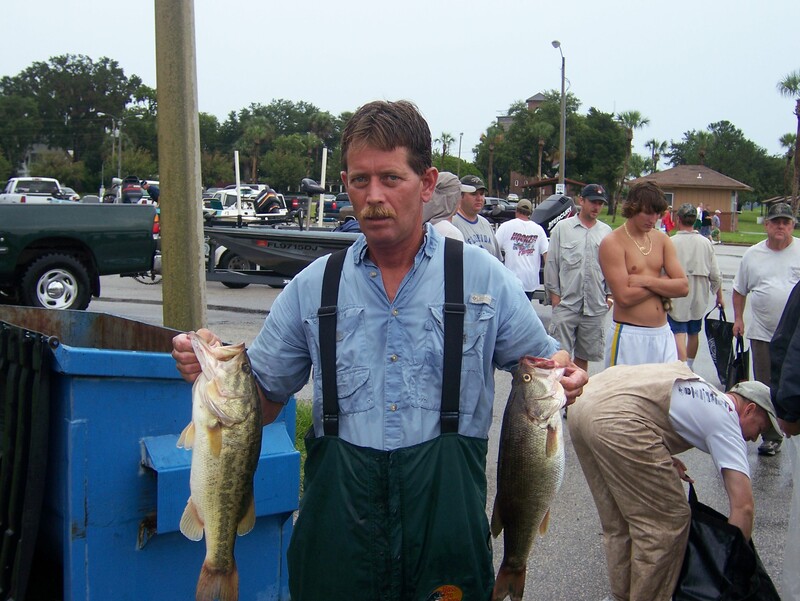 Steve Gadient with two nice ones at the August 2008 Tournament held at Palatka City Docks. It was Steve's first tournament with the club and his first win. Loren Murwin with two solid fish. These fish anchored his winning bag of 15.50 lbs. at the September Tounament out of the St. John's River at Black Creek. 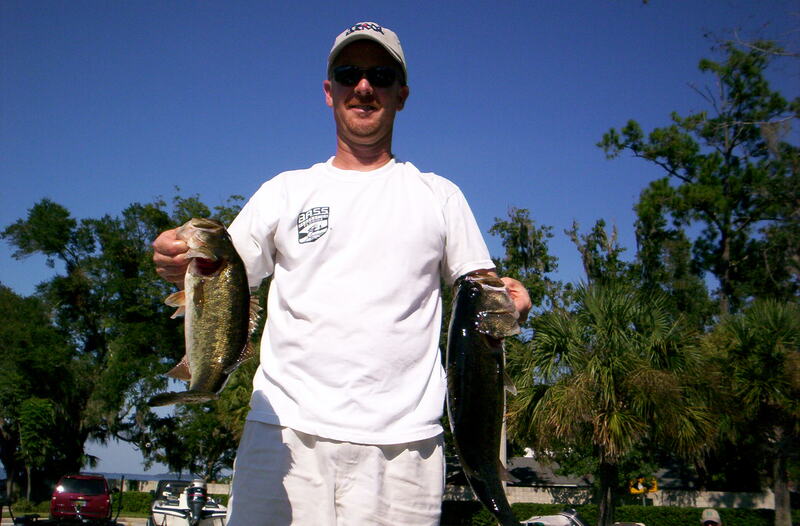 Daren Roberts with two of his winning fish caught October 4, 2008 at Orange Lake. These fish were part of his winning string of 3 fish that weighed 8.10 lbs. This was Daren's second win of the season. 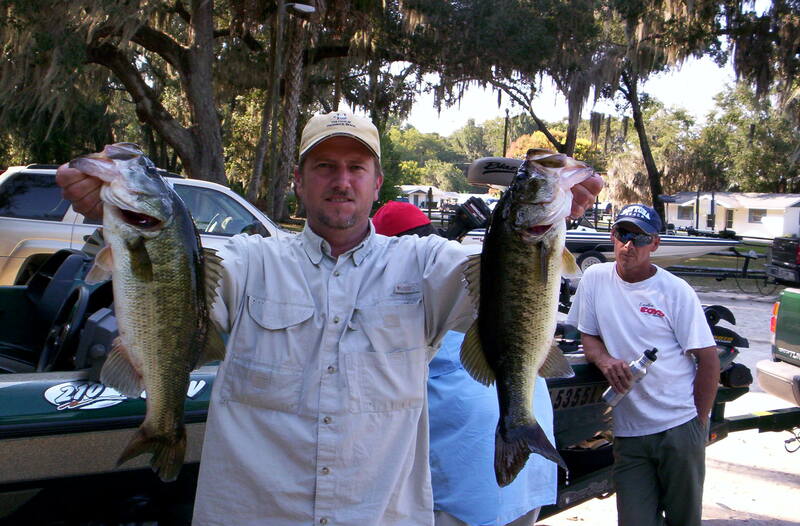 Karl won at Lake Sampson with a 5 fish limit that weighed 8.60 lbs. It was Karl's first win this season. Steve Gadient with his second win of the season from the St. John's River at Astor. Steve's limit of fish weighed 10.53 lbs. Don won at Salt Run with 5 fish that weighed 12.64 lbs. It was Don's first win this season. He also had the big fish of 5.74 lbs. "Doc" won a very tough tournament at Harris Chain following a severe cold front with 5.72 lbs. and had the big fish of 4.31 lbs. 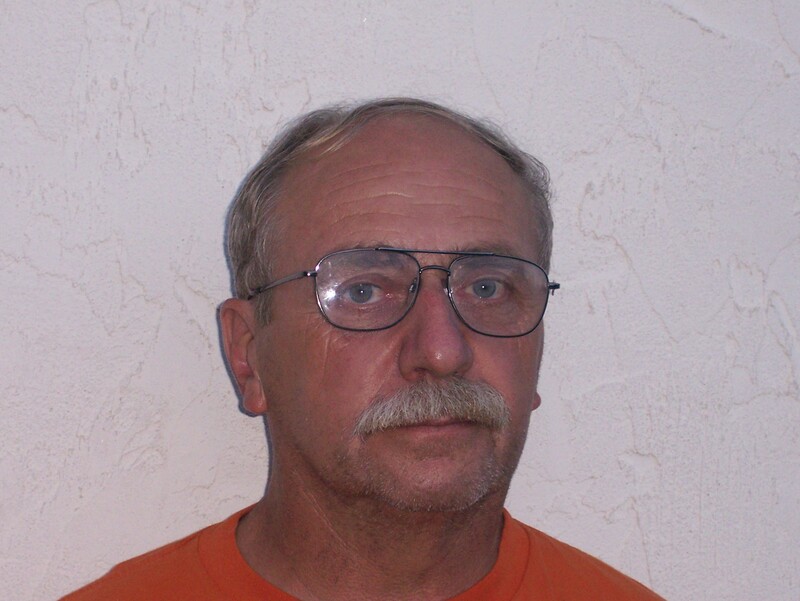 Tim Mann weighed the largest bass and the largest bag for 2009 in March out of Rodman Reservior. 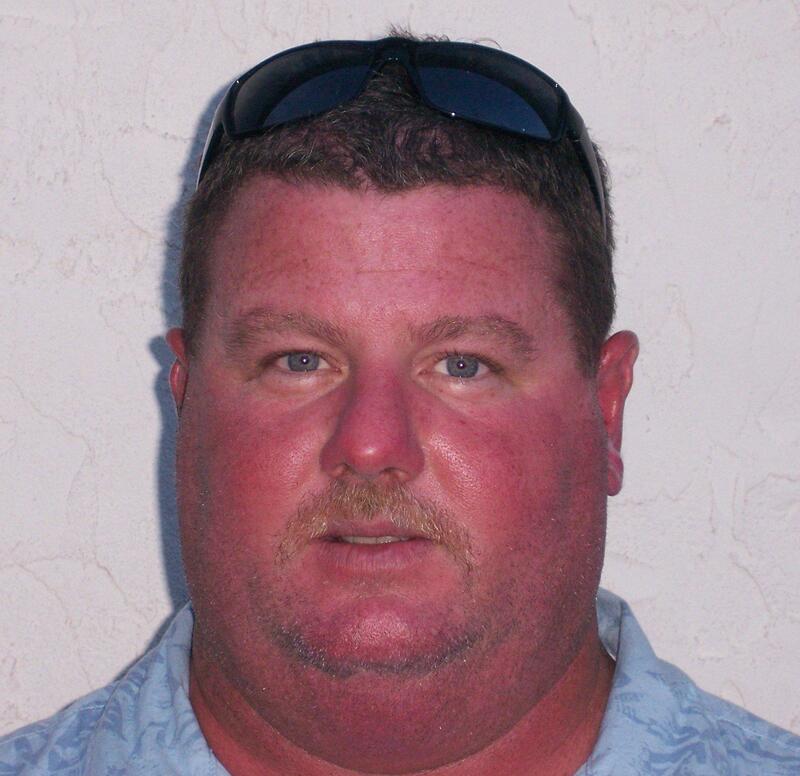 Karl finished the 2008-2009 regular season with a two day limit that weighed 25 lbs, 6 oz at Lake Toho. It was Karl's second win of the season and he was named Angler of the Year. John Allen won the classic with a two-day total of 27.88 lbs and the big bass of the tournament at 9.35 lbs. 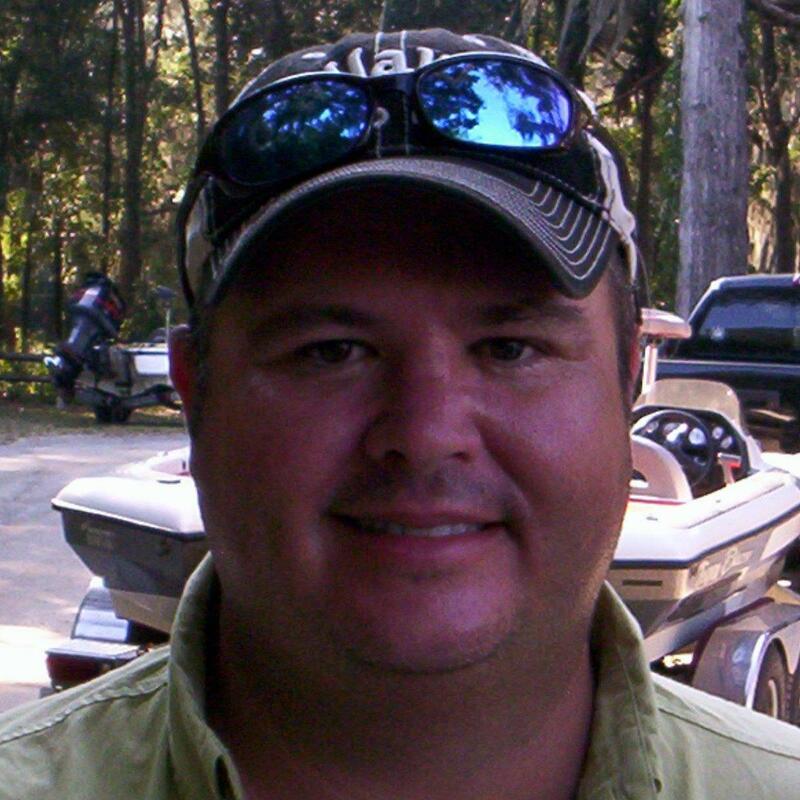 The classic was fished at Lake Talquin near Tallahassee.